Drop In registration is STILL available. You can register as Drop In Here! Times: OPEN LATER THIS YEAR 2:30-6:30pm every day school is open. 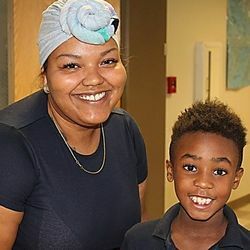 Kiddos Team: Kiddos is owned by Lara Cornett, whose only job is making sure the Kiddos in our After School and Summer Camp have an awesome experience!! Miss Jennifer is the Director and Mr. Tanner, Lead Teacher @ Garden Hills this year and has been working with kids for over ten years. We will anticipate your student arriving on the date you select for them to start. If the start dates changes please text. We offer a 5 month Fixed rate of $300/month for the 1st child, $195 for 2nd child, $95 for 3rd child. *PreK is an additional $50 per month. We Auto charge the card on file and it must be paid by in full on the 15th of each month. Failure to pay on time will result in a $25 late fee. You will be required to accept and follow all our policies before completing Registration. Please to see our Kiddos Policies & Procedures.